BioNovations Traystor® Crate Supply Chain gives the seafood industry the ability to control the handling, quality, and monitoring of their live product from catch to plate. The centerpiece of the BioNovations Supply Chain is the Traystor® Crate, which provides product with a constant flow of clean, oxygen rich seawater when the system is placed within an environmentally controlled room. These systems can be utilized for purging, dockside storage (short-term holding), long distance travel, distribution centres (long-term holding), and as display systems for end of the line retailers. 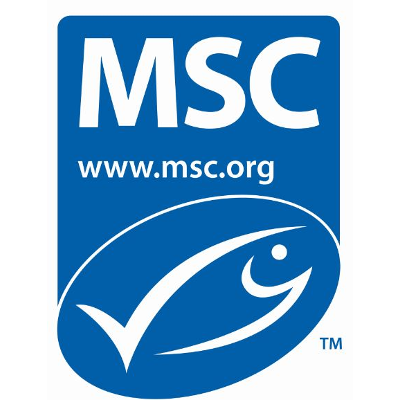 BioNovations Traystor® brand of products minimize stress from catch to plate ensuring the health, freshness, and taste of the live product while reducing handling, mortality rates, packaging fees, and thereby increasing the overall market value of the seafood. The supply chain begins onboard the fishing vessel, once the live animal is removed from the ocean and graded, it is then placed in an individual compartment within a Traystor® Crate. The Traystor® One Touch system means live seafood does not need to be touched again until it reaches its final destination. Once the product has been delivered and the live animals are removed from the Traystor® Crate, the plastic insert can be removed, collapsed, and placed flat inside the crate so that another identical Traystor® Crate can be nested and stacked inside. This reduces storage space requirements for the empty crates, thereby lowering transportation costs. As the live seafood is harvested and placed in a Traystor® Crate, the crate is then placed within a flow-through Live Well to provide a safe environment for the live seafood while still at sea. BioNovations custom builds each Live Well to meet the specific requirements of each species being harvested and to work within the space limitations of each fishing vessel. The Traystor® Crates can be placed in stacks up to seven high and are designed to allow seawater to fill the top crate of each stack and then flow directly into each crate below. With a product capacity of about 154 lbs/sq.ft, a stack of Traystor® Crates is more efficient than stacks of industry standard totes and trays. BioNovations offers an optional forklift attachment that can lift 1 to 14 Traystor® Crates at a time, without a pallet. This custom forklift attachment is an ideal solution for operations that do not wish to use pallets for loading/unloading purposes and wish to minimize shipping and packaging costs. BioNovations Inc. manufactures technologically advanced systems designed for live seafood holding, transport, and aquaculture. Through extensive R&D and with over 20 years of industry experience, BioNovations is able to provide the most sustainable infrastructure for the entire live seafood supply chain, from the fishing boat to the consumer’s plate.